Clean, Crisp, Organized Garages - and shoes too! Compliment your Harley With a Stunning Garage! Simply the Best Bike Rack. Order Today! Light your garage up like you have never seen before! Fully adjustable so you can light up all areas in your garage. 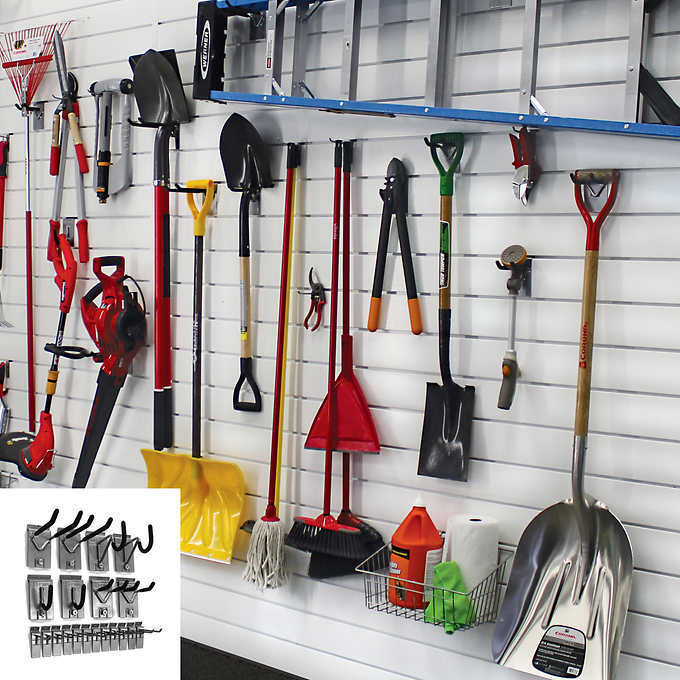 Organize your garage by utilizing your walls. A place for golf clubs, ladders, bikes, tools and toys! Welcome to OUT WEST GARAGE - Cabinetry & Outfitters of Calgary. Our stunning and robust garage cabinets, locally made by Out West Garage, are designed with quality & functionality in mind. Available in standard 3/4" thick Birch, or optional High Gloss Finish, your new garage cabinets will cause your neighbors to pause as they walk by and exclaim "My oh My!" With the brand new myLIFTER ceiling hoist, SteadyRack for exceptional bike storage, Flow Wall Panels and Accessories ( Tire & Overhead Storage Racks too), will all work seamlessly together to help you organize and have a garage to be proud of. We gladly offer no-obligation, in-garage consultations as well. When was the last time you enjoyed walking on your garage floor in socks? 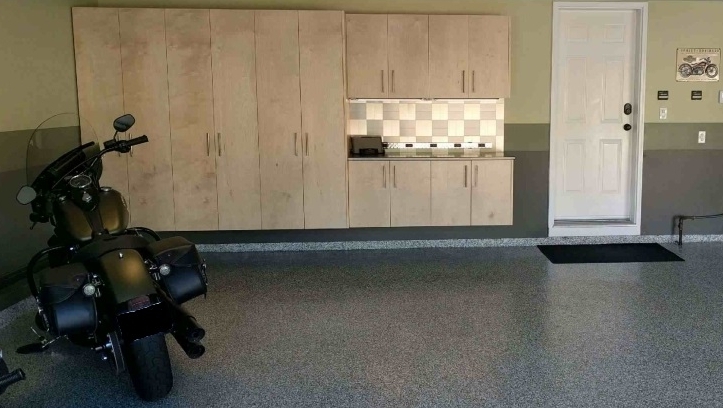 Improve your garage concrete with our beautiful, clean, and durable Polyaspartic floor coatings. We fully repair all cracks and spalled concrete, and you get the thickest coating in the industry designed specifically for Alberta weather.